Singer Neville Staple has spoken of his "heartbreaking loss" after his grandson was fatally stabbed. Fidel Glasgow, 21, died in hospital less than 12 hours after being found injured near a Coventry nightclub around 5.30am on Saturday. 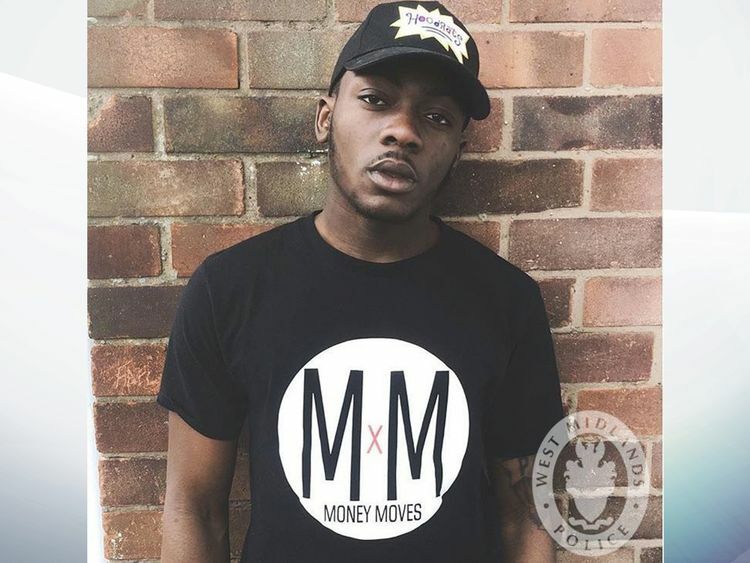 A 23-year-old man has been arrested by West Midlands Police on suspicion of Fidel's murder and has been questioned in connection with assaults around Club M in Croft Road.Another 23-year-old man, who was injured in the incident and found with knife injuries on nearby Queen Victoria Road, is now in a serious but stable condition and is recovering in hospital. Staple, lead vocalist in ska band The Specials, wrote on Facebook: "We are truly devastated to announce the heartbreaking loss of my grandson Fidel (my daughter Melanie's son), who died today as a result of being attacked with a knife in the street. "We want to thank the hospital staff & surgeons at UHCW University Hospitals Coventry and Warwickshire, who battled all day to try & save him. 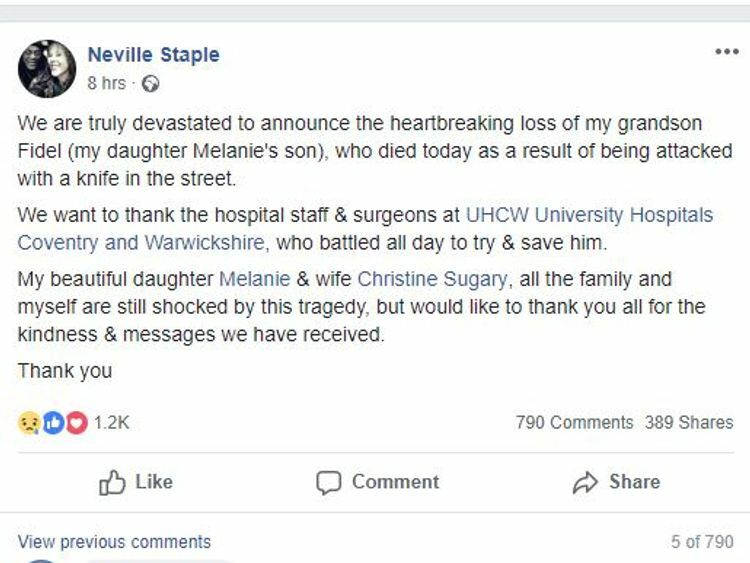 "My beautiful daughter Melanie & wife Christine Sugary, all the family and myself are still shocked by this tragedy, but would like to thank you all for the kindness & messages we have received. "Fidel's mother said: "When your beautiful heart stopped beating my heart broke in two, knowing that here on earth there won't be another quite like you. "My beautiful, one of a kind child, you're a part of me today and always. RIP baby boy." Detective Inspector Harry Harrison, from West Midland Police's homicide unit, said: "Our investigation is continuing, but we really need help from the public. "We believe there are people who saw or know what happened in the early hours of yesterday morning and I am urging them to come forward. "Fidel was a young man with his whole life ahead of him. His family are shattered by his death and need answers as to why this has happened. "I am asking anyone who knows what happened to search their conscience and call us. ":: Anyone with information is urged to contact West Midlands Police either via Live Chat at west-midlands.police.uk between 8am to 9pm, call 101 anytime or contact Crimestoppers anonymously on 0800 555 111.